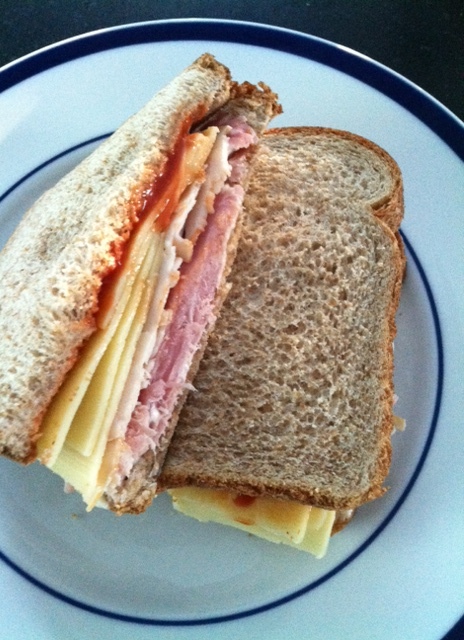 I was babysitting the other night and had a craving for something “comfort food.” To me, a ham and cheese sandwich always does the trick and can be so versatile. You can grill it like a grill cheese, you can add tomato, turkey or any other add ons and jazz it up, which is exactly what I did! So easy, so quick and so satisfying!